and fill out the following form and we will then send you your free ebook of The Perfect Diet. Please fill in all the information required below to receive your free book. 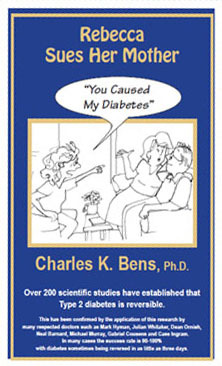 Dr. Bens' book imparts important and timely information in a creative format; it's easy to read, entertaining and full of scientific strategies for preventing and reversing diabetes. This book could help stem our epidemic of diabetes. 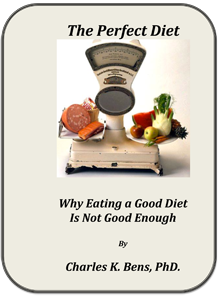 The Perfect Diet Explains how poor nutrition causes cronic disease and premature aging. Why 99% of people have nutritional deficiencies. The Triage Theory of nutrient use in the body. The best foods to eat and why. The best supplements to take and why. How the perfect diet is possible. This fantastic offer will be available for a limited time only, and is only available to those who purchase Rebbeca Sues Her Mother from this website.